Home » Paradise Found SOLD! Outdoor living space includes an expansive wood deck situated upstairs with views of Galleon Bay Canal and the feel of soothing Bahamian breezes as you relax or entertain. Downstairs, a 52 ft. dock, complete with fish cleaning station, decorated 121 sq. ft. gazebo and adjacent 144 sq. ft. wooden sundeck awaits the arrival of your boat after a fun-filled day on the water. 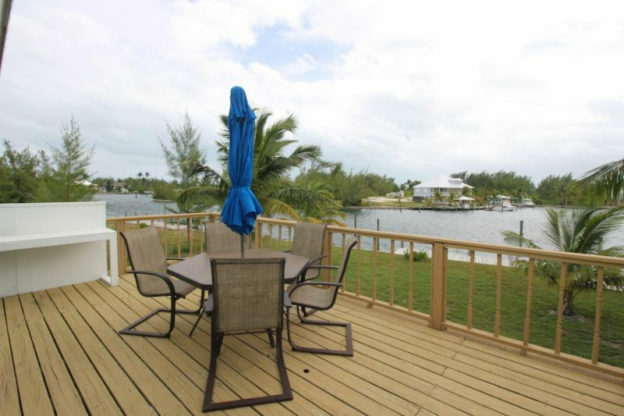 The peace and quiet of this location is complemented by this exceptionally protected canal in Treasure Cay. Paradise Found provides opportunites for memorable family vacations, fishing getaways, as a rental property, or a full time residence, now at a very affordable price. Get your piece of “Paradise” today!